ISTANBUL (AP) — The Chinese government has turned four of Meripet’s children into orphans, even though she and her husband are alive. The kids were left with their grandmother when the couple visited Meripet’s sick father in Turkey. But when Chinese authorities started locking up thousands of their fellow ethnic Uighurs for alleged subversive crimes such as travel abroad, a visit turned into exile. Then, her mother-in-law was jailed, and Meripet learned from a friend that her 3- to 8-year-olds were placed in a de facto orphanage in the Xinjiang region. “It’s like my kids are in jail,” Meripet said, her voice cracking. Meripet’s family is among tens of thousands swept up in President Xi Jinping’s campaign to subdue a sometimes restive region, including the internment of more than one million Uighurs and other Muslim minorities. Now there is evidence that the government is placing the children of detainees and exiles into dozens of orphanages across Xinjiang. 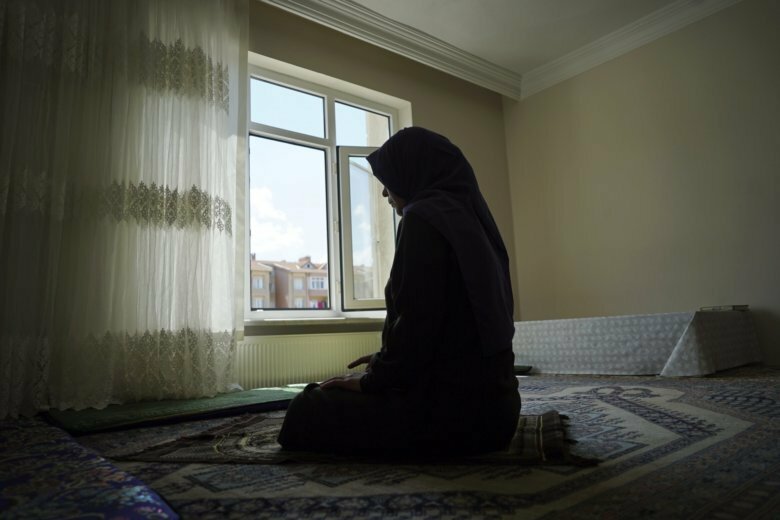 The orphanages are the latest example of how China is systematically distancing young Muslims in Xinjiang from their families and culture, The Associated Press has found through interviews with more than a dozen Muslims and a review of procurement documents. The government has been building thousands of so-called “bilingual” schools where minority children are penalized for using their native languages instead of Mandarin. Some of these are boarding schools, which Uighurs say can be mandatory and, in a Kazakh family’s case, start from the age of five. China says the orphanages help disadvantaged children and denies the existence of internment camps for their parents. It prides itself on investing millions of yuan in education in Xinjiang to steer people out of poverty and away from terrorism. The country also maintains that strong measures are necessary to kill extremism in a region where it says Uighur separatists were responsible for the deaths of hundreds in past years. But Uighurs fear that these measures are wiping out their ethnic identity, one child at a time. Experts say what China is doing echoes how white colonialists in North America and Australia treated indigenous children. “What we’re looking at is something like a settler colonial situation where an entire generation is lost,” said Darren Byler, a researcher of Uighur culture at University of Washington. Most of these families in China cannot be reached by journalists. However, the AP interviewed 14 Uighur families living in Turkey and one Kazakh man in Almaty with a total of 56 children who remain in China. The families say 14 appear to be in state-run orphanages and boarding schools, while the whereabouts of the rest are unknown because many of their adult relatives in Xinjiang have been detained. Some interviewees, like Meripet, requested that they be identified only by their first names because they feared official retaliation against their relatives. Since the start of last year, the government has budgeted more than $30 million (200 million Chinese yuan) to build or expand at least 45 orphanages, with enough beds to house about 5,000 children, an AP review of procurement notices in Xinjiang shows. In July and August alone, the government invited bids for the construction of at least nine such centers. These numbers do not include kindergartens and other schools where some children of Uighur detainees are also being housed. Meripet’s friend, who visited China last November, told her that her children are living in the Hotan City Kindness Kindergarten, where Meripet’s sister-in-law was permitted to take them home for one night only. The schoolyard’s entrance is blocked by an iron gate and adorned with the words “We Are Happy and Grateful to the Motherland.” Armed police officers surrounded AP reporters minutes after their arrival and ordered them to delete any photos. Students at another kindergarten in Xinjiang were regularly asked by officials if their parents practiced religion at home, according to Dilnur, a 35-year-old business student in exile in Istanbul, whose children attended the school. A man was taken away by police after his grandson said in class that he had made a pilgrimage to Mecca, she recalled. Some bilingual schools are boarding schools, which are not uncommon in China. Adil Dalelkhan, an ethnic Kazakh sock merchant in exile in Almaty, said that even though his then five-year-old son could live with relatives, he was forced to stay at his preschool Mondays through Fridays instead. The father called the policy a “terrifying” step toward extinguishing Kazakh culture. An official Kashgar notice posted in February states that children in the fourth grade and above with parents in detention must be sent to boarding school immediately — even if one parent is still at home. Follow Yanan Wang and Dake Kang on Twitter at @yananw and @dakekang.